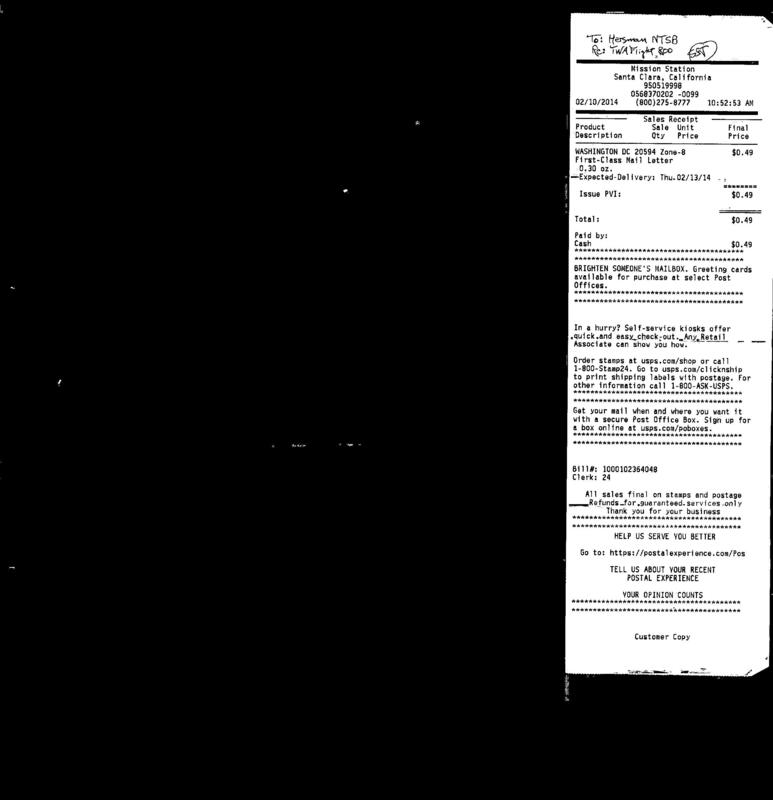 Updated 20 February 2014 with copy of 10 February 2014 letter to the Chairman of the National Transportation Safety Board Deborah Hersman. 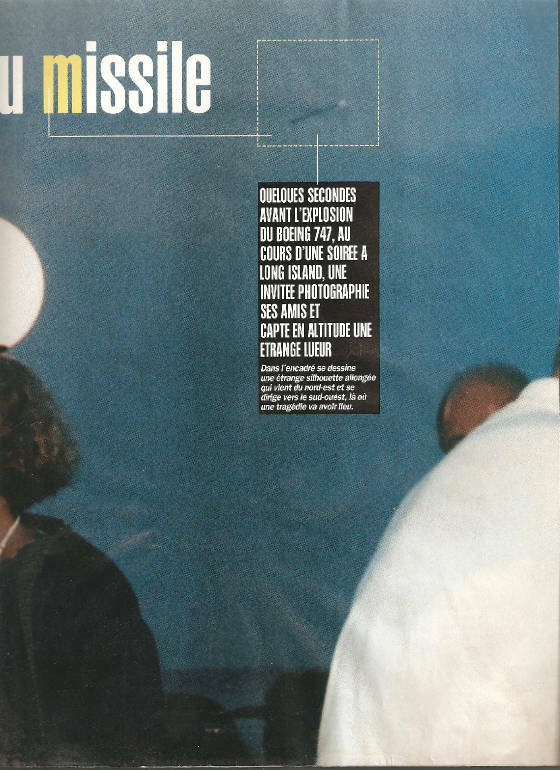 Photo (below) taken by Linda Kabot who was standing on an outdoor deck of the restaurant Dockers in East Quogue, New York and facing north minutes before TWA Flight 800 exploded with a white flash followed by an orange-red fireball. Days later, Mrs. Kabot was about to pitch the developed photo for poor definition when her husband Lance, looking over her shoulder, said, "Wait, what's that?" Just over the heads of the people attending a fundraiser for Mrs. Kabot's boss, the Superintendent (Mayor) of Southampton, Vincent J. Cannuscio, appears what looks very much like a cruise missile in a pitch down attitude at about 150 feet altitude and heading out to the Atlantic Ocean on a southwest heading from the general direction of Long Island Sound. 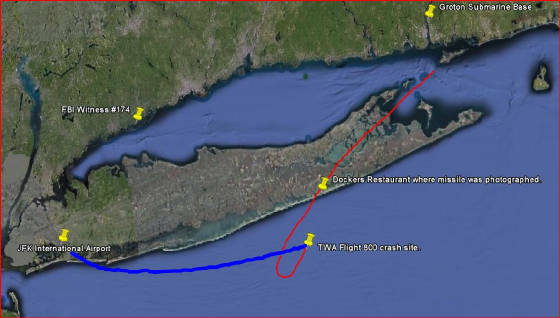 Mrs. Kabot told me her friend in Quogue, right on the Atlantic shore and southwest of East Quogue, told her a strange, unidentified object flew over her home and out to sea in the very same time frame just prior to the shootdown of TWA Flight 800. The low-flying missile evaded radar in the evening twilight and began its ascent right at the seashore, which explains why several observers thought a missile was launched in the sand dunes. The rising missile crossed under the approaching jet's flight path way out in front of it and then curved back, finally heading from southwest to northeast, as it caught TWA Flight 800 from behind on the starboard bow behind the cockpit. 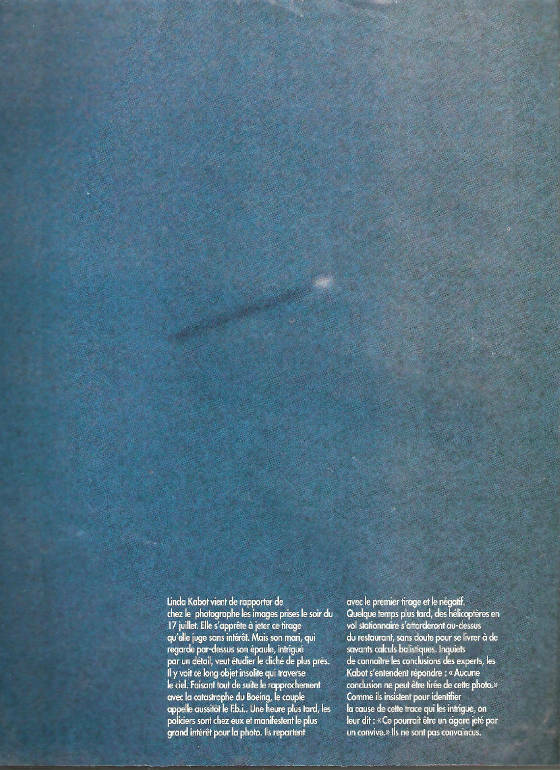 The missile's exhaust was bright enough to be seen by FBI Witness #174 from his home 60 miles away near Norwalk, Connecticut, which rules out a shoulder launched missile from a Captain Sinbad's ship under TWA Flight 800's path. 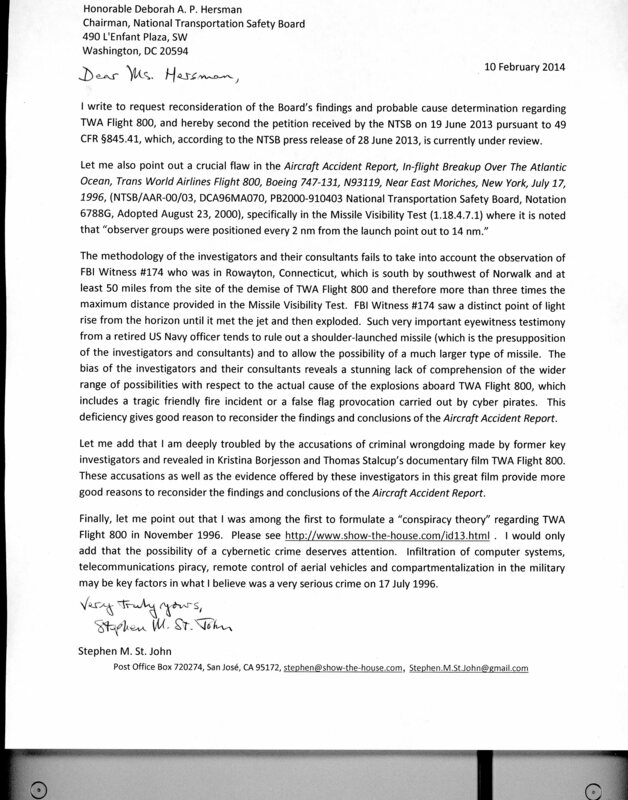 (UPDATE 14 February 2014: In this particular regard, please see below my letter to the Chairman of the National Transportation Safety Board Deborah Hersman). The cruise missile did not seek the heat of a jet engine, but homed in on the body of the aircraft. This Kabot photo (below) was suppressed in the USA, but thank the Almighty the French are free of our freedom of the press! I personally suspect a false flag military intelligence operation was afoot to justify putting American muscle on Mesopotamian patrol, but somehow things got all fouled up. The lesson learned for the conspirators was to "go massive" the next time. Yes, there are psychopaths among us in positions of authority! Criminals will assert absolute secrecy in the name of national security to hide their crimes. Their anti-Arab anti-Semitism, which emanates from Zionism, is a plague of pandemic proportions in the USA.